Comic book fans often argue that the movies should simply mimic the original comics, but Tom King's Batman run has demonstrated just why that's not the case. King's current run is becoming the stuff of legends; he has a deep understanding of Batman's personality and identity, and as such has dug into the Dark Knight's tortured mind like few writers before him. This week's Batman #50 brings to a close a long-running storyline in which Batman and Catwoman were engaged to be married. The issue ends in tragedy, with Catwoman bowing to the inevitable and jilting Batman at the rooftop. Her argument is a heartbreakingly simple one; if Bruce Wayne ever truly becomes happy, then he will cease to be Batman. 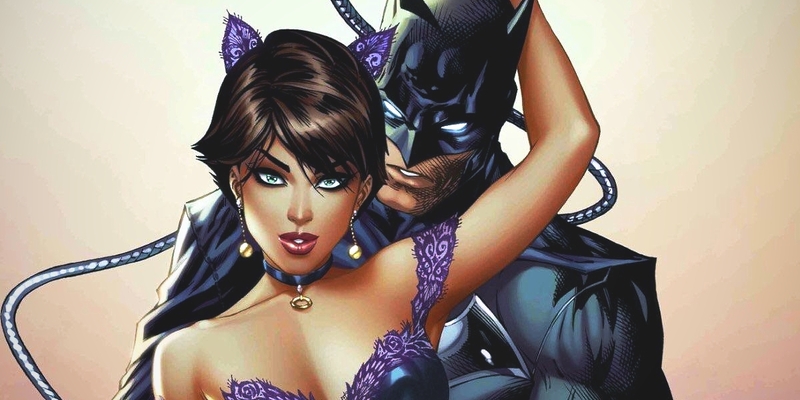 In marrying him, Selina would risk actually destroying everything Batman is, and everything he stands for. It's the same logic the Joker presented to Catwoman last issue, but this time it's propounded by a friend - albeit one with dark designs of her own. Selina recognizes the truth of it, and chooses to go her own way. There's more than a kernel of truth in it. But the most fascinating part of this story is that it speaks to the very nature of the comic book medium - and to one thing that will inevitably mean the films will outgrow the comics. "Over the years, Stan and Steve (and later John) put him through changes. But when you get down to it, they satisfied the concept of illusionary change. Peter went from high school to college… but he was still a student. Betty Brant and Liz Allen gave way to Gwen Stacy and Mary Jane Watson, and nemesis Flash Thompson stepped aside for nemesis Harry Osborn. Otherwise, though, he was pretty much the same guy. Sure, he got a motorcycle, which was the ultimate in cool… but he wound up having to sell it, thereby bringing the money problems back to the forefront. It was evolution, but 360 degrees’ worth. Same old Spider-Man, same old Peter Parker, same old problems at the core." In 1987, Marvel Comics married Peter Parker and Mary Jane Watson. They then spent the next decade trying to break them up again, convinced they'd changed Spider-Man's brand too much by allowing his character to grow. This ultimately led to the (in)famous "One More Day" plot, in which Peter made a deal with Mephisto that wiped his marriage out of continuity. Catwoman's entire chain of logic really rests upon the nature of comics. Were Batman to ever find happiness, he would be changed as a character - and changed forever. Short of an absurd plot twist (say, an absurd deal with DC's equivalent of Mephisto), there'd be no going back on this. The Batman comic book franchise would be changed utterly. And that's something DC Comics, as a publisher, would be extremely wary of. As a result, to astute comic book fans the heartbreaking end of Batman's engagement is no real surprise. No doubt the Dark Knight will now turn inwards once again, becoming a haunted, brooding figure. It's the perfectly on-brand way to end this story.